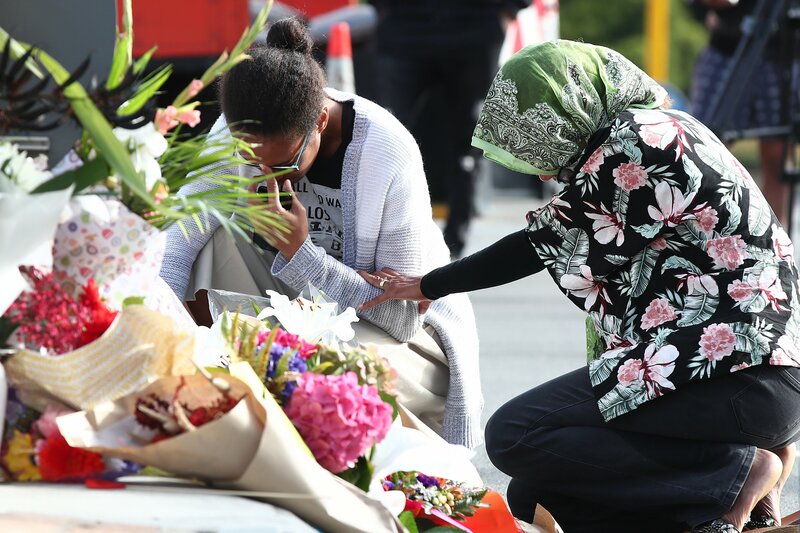 Families mourning the loss of loved ones in the New Zealand terror attack are hoping the bodies will soon be returned so the grieving process can begin. On Friday, a gunman killed at least 50 people in attacks on the Al Noor and Linwood mosques in the city of Christchurch. The attacks were launched as worshippers gathered for Jumah; weekly congregational prayers. New Zealand Prime Minister Jacinda Ardern told a media briefing over the weekend that some bodies would be returned to families on Sunday evening, and all should be returned by Wednesday, Reuters reported. Mike Bush, New Zealand Police Commissioner, said pathologists and coroners were collaborating with officials to ensure bodies were release as quickly as possible, the Associated Press reported. New Zealand Chief Coroner Deborah Marshall told a press conference on Sunday that officials had started to formally identify the victims, but suggested it was a tough process. “The process involves a CT scan, fingerprints, property and clothing is photographed, dental records are examined and then post-mortem examination,” explained Marshall, CNN reported. According to Islamic tradition, a deceased person should be buried within 24 hours of their passing. The rule can partly be traced back to an era when it was important to protect the living from disease. However, it is deemed acceptable to extend this time period when the deceased did not pass from natural causes. Traditionally, the remains are washed three times by a same-gender relative before being wrapped in white cloth. The body is then displayed outdoors so mourners can pay their respects, and is buried as soon as possible. Aya Al-Umari, whose brother Hussein Al-Umari was killed at the Al Noor mosque, is among the mourners. Farhana Akhter told Al Jazeera she hadn’t slept in two days after her aunt Husna Ahmed, 45, was killed at the Al Noor mosque on Friday. Ahmed was helping other worshippers to get out of the mosque and had returned to help to look for Akhter’s uncle, when she was shot. “I can’t eat or drink; I need to see my aunt’s body as soon as possible[…]so we can have relief,” Akhter said. Following the attack, Australian Brenton Harris Tarrant, 28, has been charged with murder and appeared in court on Saturday morning. Before he launched the attack, he shared online a 74-page extreme right-wing, white nationalist manifesto. The first 17 minutes of the attack were live-streamed on Facebook, using what appeared to be a camera fixed to the shooter’s head.